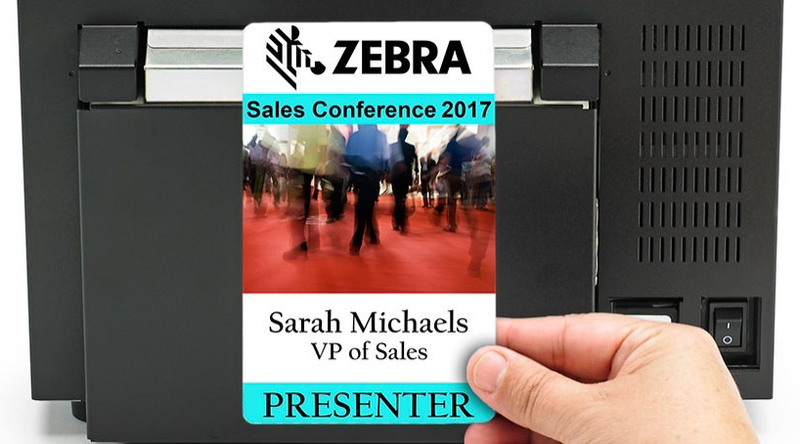 The Zebra ZC10L is the only large-format, direct-to-card printer that can produce full, edge-to-edge color cards in one printing process. Save money both in pre-printed cards and unusable leftover cards by printing what you need on demand. No need to order artially pre-printed ID cards or badges in advance. 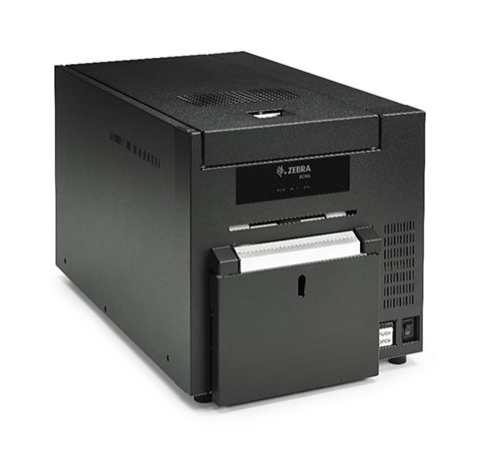 As a 300 dpi modified photo printer, the Zebra ZC10L delivers exceptional image quality, especially for background graphics and photos. Create professional cards with high-quality designs, large cards allow for enough space to place a logo or advertising. Badges and passes endure as guest mementos long after the event, versus only as access tools at the event. Use the ID software BadgeMaker with the ZC10L’s outstanding photo-quality printing and design and produce beautiful, edge-to-edge cards with graphics, text, barcodes and images. Since full cards can be printed in one pass, users can make card design changes, include logos and advertising, and even incorporate guest photos and print them at the point of guest entry to further personalize cards. Print large cards, size 3.5 x 5.5 (88 mm x 140 mm), with the Zebra ZC10L , that are easier to see and read at a distance. Larger format badges increase security by giving event staff the ability to identify guests and determine access permission easily from afar. The ZC10L prints PVC cards that are durable and long lasting for multi-day or even seasonal use. Create customized badges with colorful, visually compelling graphics, that endure normal wear and tear at short or longer events.